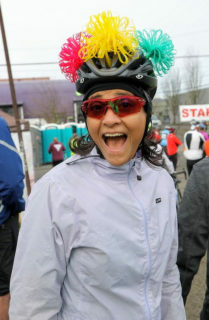 Home » Blog » Ride with Us: The Worst Day of the Year Ride! Ride with Us: The Worst Day of the Year Ride! 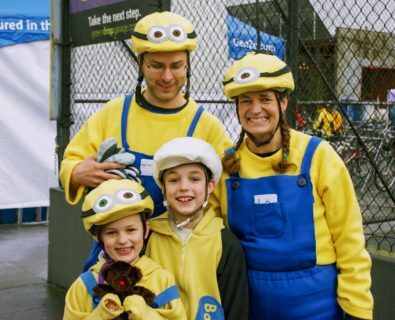 On Sunday, February 11th, regardless of the weather, thousands of fun-loving cyclists will grab their friends, don their costumes, and gather to join the Worst Day of the Year Ride. Riders choose between 4, 15, or 42 mile routes–all with spectacular rest stops featuring yummy treats and warm beverages. After scoffing at the elements, participants return to the Lucky Labrador Brew Pub, where hot soup and a lively finish line party await them. The four-mile family ride is a new route designed for families with younger kiddos. As an added bonus, kids under 12 years ride for free! Regardless of which route you choose, please feel strongly encouraged to wear your most fabulous costume, since there will be a costume contest and a photobooth. The Worst Day of the Year Ride is a fundraising community bicycle ride event benefiting the Community Cycling Center. For more information on the Worst Day of the Year Ride, please visit www.WorstDayRide.com.